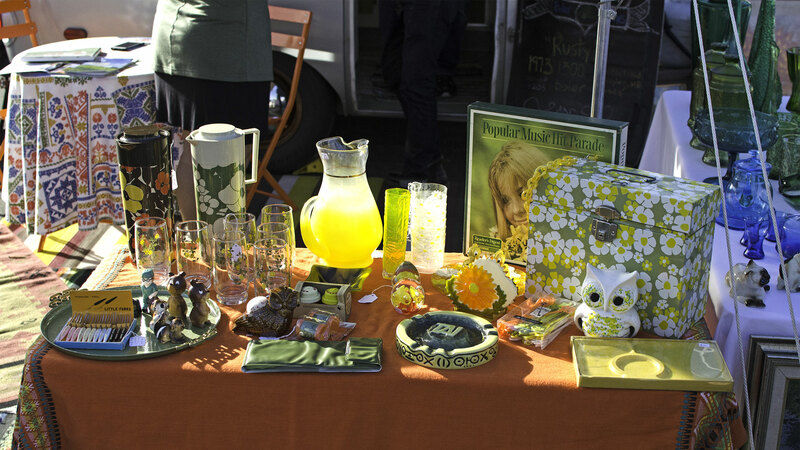 Whether you are looking for midcentury modern décor, retro digs or antique finds, shopping in Greater Palm Springs this season is where you need to be–especially with the much-anticipated return of the monthly Palm Springs Vintage Market! 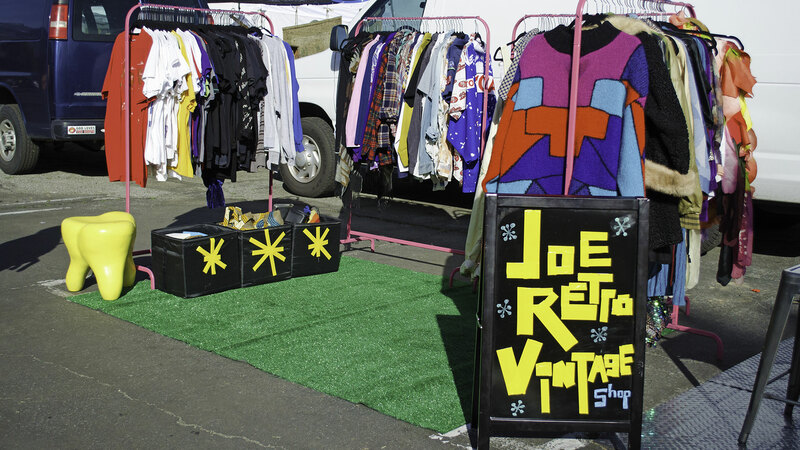 The Palm Springs Vintage Market is a boutique flea market that operates on the first Sunday of every month, October through May, from 8 a.m. to 2 p.m. The seasonal event is open to the public and is set to make its return on Sunday, October 1, 2017, at the Camelot Theaters parking lot in downtown Palm Springs. 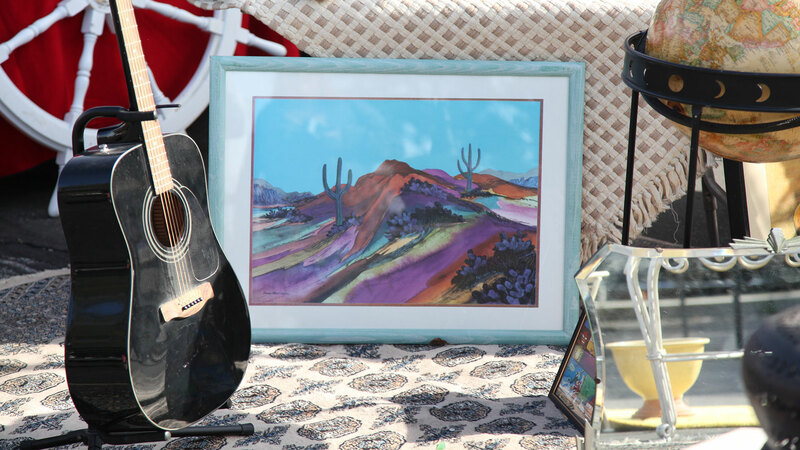 Items found at the market include vintage fashions, jewelry, décor pieces, furniture, housewares and records, as well as art and collectables from a variety of vendors. Food and drinks are also available for purchase through the theater’s International Café & Bar. She also adds that for only a few bucks, you can come out and have some fun and nostalgia. Admission to the market is $5 per person at the entrance, but attendees can sign up online to join the market’s email list and receive a $2 coupon off admission. To sign up for the mailer, shoppers may visit the market’s website. Well-behaved and friendly pets are also welcome to attend. A unique feature of the market is its focus on midcentury modern design; however, shoppers can find antiques from practically every era. Currently, there is space for about 100 vendors to set up shop at the event, but shoppers can typically find anywhere between 75-80 vendors there, selling a variety of items and novelties. All vendors are vetted before appearing at the market, and event organizers make sure all wears are vintage. The definition of vintage, according to King, is 20 years or older—however, some artist and maker types who sell products composed of repurposed materials can be found at the market as well. The relaxed, retro vibe of Palm Springs, paired with the city’s history of Desert Modernism, makes it the perfect setting for vintage shopping. Attendees come from all over to view and purchase the items on display at the market, including designers who come out to look for authentic merchandise to style homes. King also adds that it’s great to see attendees having a great time at the market, and enjoys watching them leave with some incredible things each time. “It’s fun when you get something unique because it’s something that other people don’t have,” says King. A hat and some sunscreen as the event is located outdoors. Comfortable walking shoes that will give you good support as you walk around, as it takes about an hour or two to walk through the entire market. Cash for purchases. Although the market does have ATM machines available to use and merchants do use Square to accept purchases, cash is best and is recommended. A large vehicle if you plan to make a large purchase. The Palm Springs Vintage Market is located at the Camelot Theatres–2300 E. Baristo Road in Palm Springs. Parking can be found throughout the surrounding area and is free for attendees. 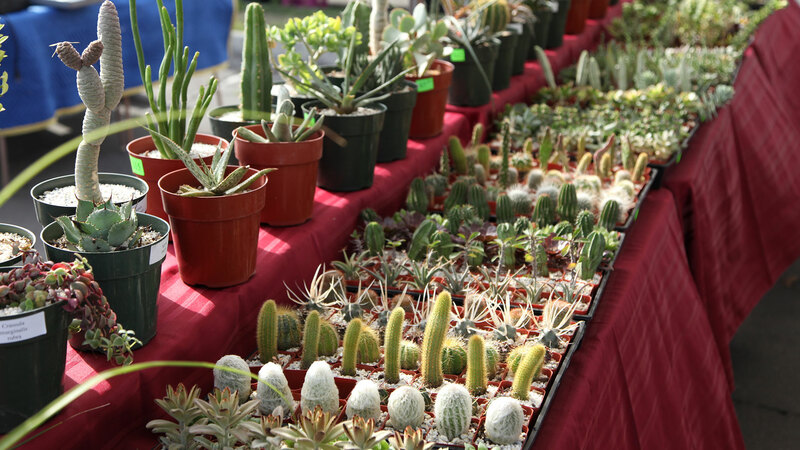 For more information, visit Palm Springs Vintage Market, and if interested in making a weekend getaway out of it, head on over to Greater Palm Springs attractions to check out deals on more exciting things to do in the oasis. Photography courtesy of Camron Carrier and Nichole Gawalis.